As owner of the Law Office of Matt Sullivan, Mr. Sullivan has extensive litigation experience in complex criminal defense matters. He began his legal career by working as a deputy public defender in the Marin County Public Defender's Office. As a deputy public defender Mr. Sullivan handled hundreds of criminal cases. Despite limited resources he was able to win acquittals, hung juries, or dismissals in the majority of cases he tried at the Marin Public Defender's Office. Mr. Sullivan then went to work for a private criminal defense firm in San Francisco where he was assigned primarily to work on serious state court criminal cases, including 3 strikes cases, and complex federal criminal cases involving drug conspiracy and violent crimes. While at the private criminal defense firm, Mr. Sullivan continued to consistently provide excellent results for his clients. Notably, Mr. Sullivan was second-chair trial counsel in a complex sexual misconduct case, wherein client was facing 50 years to life if convicted. There were two trials in this case, over the course of 2 years, both ending in mistrials. After the second 4 week jury trial ended in a mistrial, all charges against this client were dismissed. After spending 3 years in jail for a crime he did not commit, this client was released to his family. 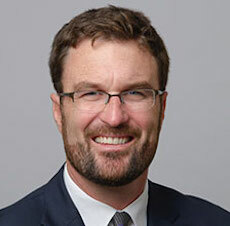 Following his work with the private criminal defense firm, Mr. Sullivan founded his own firm in San Francisco dedicated to client satisfaction, zealous advocacy, and providing superior legal services to his clients. The firm has achieved successful results for many clients. Mr. Sullivan has handled numerous cases involving complex forensic evidence, including DNA, toxicology, biomechanics of injury, false confessions, eyewitness memory, firearms and gunshot residue, computer and digital forensics, and accident reconstruction. He earned his law degree from the University of San Francisco Law School where he took several courses in criminal law and procedure. He was also a contributing writer to the USF Law School Forum. In the practice area of criminal defense, Mr. Sullivan was selected by Super Lawyers Magazine to the Northern California Super Lawyers list in 2018, and to the Rising Star list from 2013-2017. He has also been selected for inclusion in the National Trial Lawyers "Top 100" list for the Northern California region in criminal defense. Mr. Sullivan is often asked by other attorneys to consult with them on serious criminal cases. He has years of experience litigating Fourth Amendment issues. He is a member of the National Association of Criminal Defense Lawyers, the California DUI Lawyers Association, and the California Attorneys for Criminal Justice. He is admitted to practice law in all courts in the State of California, and in federal Court in the Northern and Eastern District of California. Please call our office today for a confidential consultation regarding your criminal law matter or contact us online using the submission form.